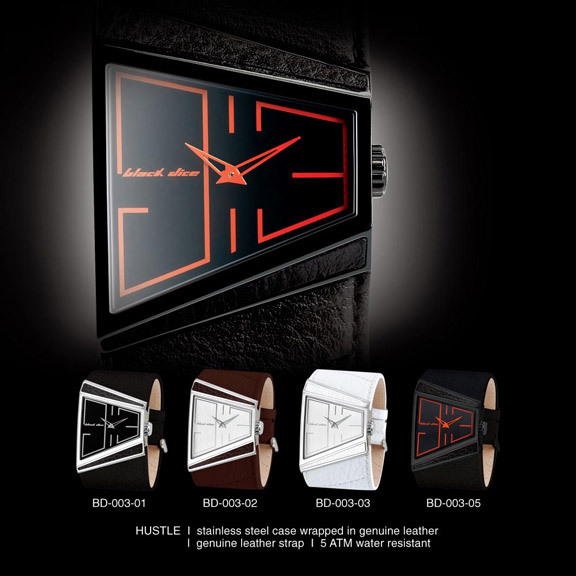 The Black Dice Hustle watch is part of the Black Dice urban streetwear collection that showcases modern and sophisticated designs expertly blended with a touch of rebellious trendsetter attitude. 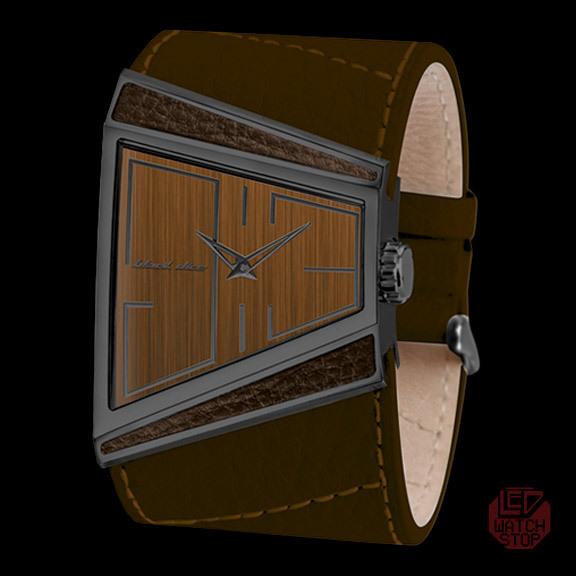 This version of Hustle features a wide brown cuff style leather band, oversize geometric shaped stainless steel case with black finish, light woodgrain brown dial with black hands and large black number markers (9&3). A fashionable accessory for your personal lifestyle. Black Dice - Good things come to those who Hustle!